Bitcoin grabbed everyone’s attention in mid-December 2017 when it reached its high just under $20,000 USD. My hairdresser even asked me about it; someone who had never talked stocks with me before. Serious money was being made in the cryptocurrency, and stocks in the sector were on fire. Attending the Fintech and Payment Conference, Money20/20, almost three years ago, I heard a lot of discussion on Bitcoin and blockchain at the luncheon tables from some of the biggest and the brightest in the financial technology sector; but it was conversation in the background and not center stage. Last year’s Money20/20 conference in October featured both blockchain and Bitcoin in panel sessions and presentations, and even made it into Steve Wozniak’s keynote discussion, making it obvious cryptocurrency and its underlying technology were here to stay. 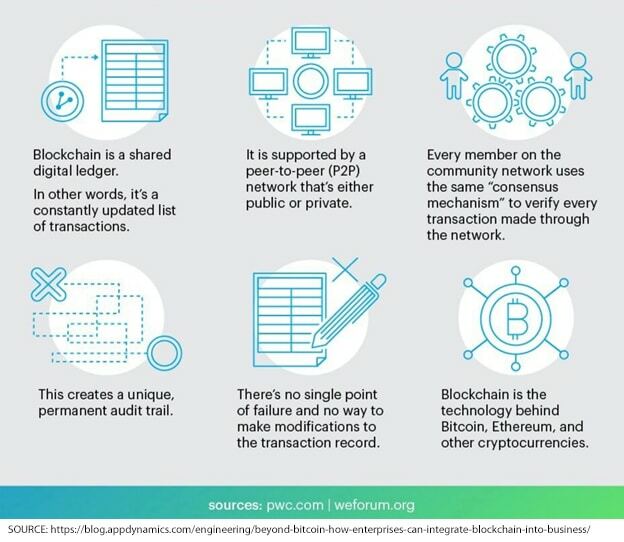 So What is the Difference between Bitcoin and Blockchain? “Bitcoin is actually built on the foundation of blockchain, which serves as bitcoin’s shared ledger. Think of blockchain as an operating system, such as Microsoft Windows or MacOS, and bitcoin as only one of the many applications that can be run on that operating system. “Blockchain provides the means for recording bitcoin transactions — the shared ledger — but this shared ledger can be used to record any transaction and track the movement of any asset whether tangible, intangible, or digital. For example, blockchain enables securities to be settled in minutes instead of days. It can also be used to help companies manage the flow of goods and related payments, or enable manufacturers to share production logs with original equipment manufacturers (OEMs) and regulators to reduce product recalls. 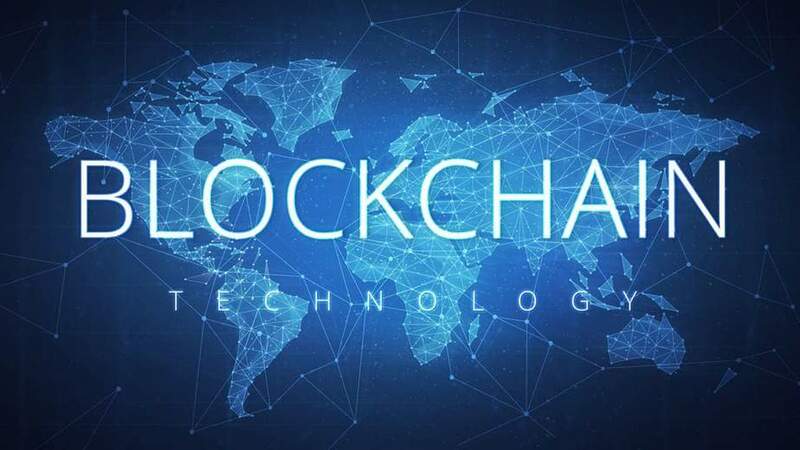 The global blockchain market is expected to grow at a CAGR of 42.8% (2017–2022), resulting in a global revenue of USD $13.96 billion by 2022 according to a recent report by Research and Markets. Looking at the blockchain sector and how to invest in it has become one of the biggest challenges and opportunities investors have been confronted with in some time. Everyone was caught off guard with the spectacular rise of Bitcoin last year, and it created a frenzy of investor interest in anything crypto or blockchain. Associating blockchain as the underlying ledger technology of Bitcoin caused investors to jump on the bandwagon and follow the money with little or no due diligence of the stocks in the sector. It was like “shooting ducks in a barrel.” Anyone could make money just buying a stock in the sector. While the game has changed, the opportunity for blockchain is bigger and better than ever if you look at all the applications for the technology. From financial services to healthcare, shipping, identity, music, smart contracts, cloud storage, gaming and real estate, it seems like the possibilities are endless. “Blockchain technology has the potential to remove much of the remaining market friction — the speed bumps that throttle the pace of business. As friction dissipates, a new science of organization will emerge, revolutionizing the way industries and enterprises are structured. With transparency the norm, a robust foundation for trust can become the springboard for further ecosystem evolution. Canada’s first Blockchain ETF, Blockchain Technologies ETF (HBLK.TO) was listed in early February and was also a little late to the party for the blockchain investor mania. An ETF is a form of an index fund. Amidst volatile Bitcoin prices, mounting regulation, investor and industry confusion and euphoria, the Canadian ETF has experienced a roller coaster ride since it started trading—but it is betting on the long run and the revolutionary potential of blockchain. One of the ETF’s holdings, digital currency miner and TSX listed Hive Blockchain Technologies Ltd. (TSXV: HIVE / OTC: HVBTF) has been one of the industry favorites since going public and reached a 52-week high of C$6.75/ US$5.25. Retail investors immediately took note of this company, seeing investments from well-known global investor Frank Holmes who is currently on the Board of Directors, and Frank Giustra, founder of Lionsgate Entertainment and advisor to Hive. If he is correct or even remotely correct, this stock sector has unstoppable momentum just from an emotionally driven standpoint. Walmart Inc. (NYSE: WMT) isn’t thinking about the price of Bitcoin when it uses blockchain technology to track food products through its supply chain. It understands the benefits and efficiencies that can save them money and solve a problem in hours, that would have taken weeks in the past. I do think it would be a safe guess that some of the Walmart employees do own some Bitcoin and are hoping that Tim Draper is correct. Dawn Van Zant is the President, editor and founder of InvestorIdeas.com. She has over thirty years of experience in the financial markets which includes a high level of understanding the trading of venture class securities and investor/ public relations. Ms. Van Zant has been featured and interviewed on Business Week, CNN Financial TV, CBS Market Watch radio and various financial publications. Follow the Blockchain Revolution". Here is the website link: https://financial-news-now.com/stop-watching-the-price-of-bitcoin-follow-the-blockchain-revolution/. Thank you.